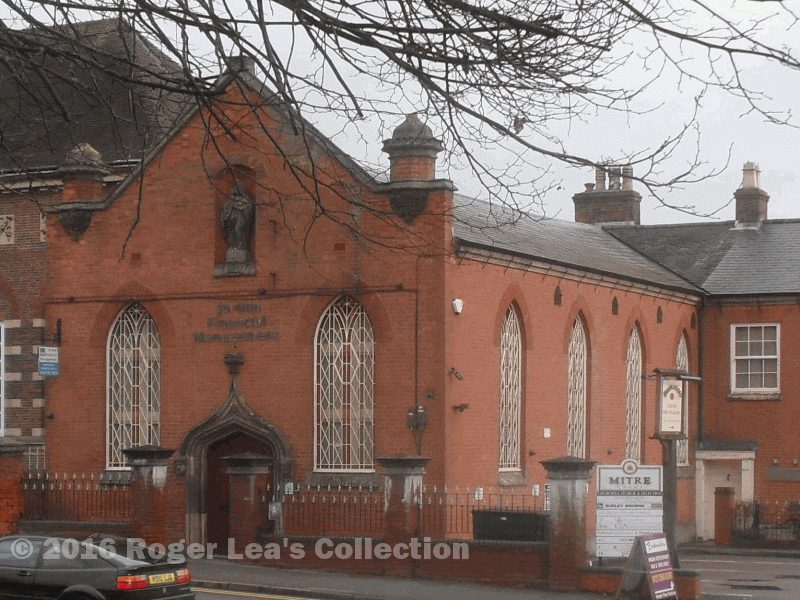 The building known as the Guildhall in Lichfield Road was built in 1834 as Sutton’s Holy Trinity Roman Catholic Chapel The opening mass was conducted by Bishop Walsh on Tuesday October 21 1834. Although there were said to be only six Catholic families in Sutton at the time, the inauguration of the church was well attended, visitors coming from far and wide to hear Dr. Weedall, President of Oscott College, preach. The church was described as “a beautiful little chapel”, and was much finer and larger than originally projected. It was built on the site of a disused Baptist meeting house, which the projectors had purchased with a view to adapting the existing building and “waiting for some more favourable opportunity of erecting a larger and more elegant chapel”. The old meeting house turned out not to be suitable, however, and “other encouragements having arisen”, an entirely new structure was built. These other encouragements were in the form of generous grants by private individuals. In 1850 the Roman Catholic Bishop of Birmingham, Bishop Ullathorne, referred to the Misses Dixon having contributed “upwards of £1,000 to erect the chapel and presbytery”. Catherine and Julia Dixon, spinster sisters of independent means, lived in a house next door to the chapel. According to a board set up in 1880, masses were to be said each year in gratitude for their generosity. Masses were also to be said for two other spinster sisters, Sarah and Elena Grundy. The Grundy family moved to Sutton in 1847 and lived in style in their High Street house (now the Royal Hotel). Sarah and Elena inherited a fortune on the death of their brother, the photographer William Morris Grundy, in 1859. Meanwhile, the congregation of the church increased, and in 1870 Father Harkness purchased land on the opposite side of Lichfield Road as the site for a school, as the school up till then had been held in the basement of the presbytery at the back of the chapel. St. Joseph’s School was opened in 1872; the same year as the Miss Grundys moved in to a newly-built house next door, called Iona Cottage. A few years later Iona Cottage, together with other land valued at £1,500 and £1,300 in cash was donated to the church. Father Harkness hoped that a new and larger church would soon be built, but it was another fifty years before the new church was built, the present Holy Trinity Catholic Church,opened on September 27th 1934 by Father Francis de Capitain. Plans were submitted to convert the old chapel into a Parish Hall, to be known as the Guildhall, the former presbytery to be the caretaker’s house. Iona Cottage, 69 Lichfield Road, (which had been let to tenants since 1880), became the new presbytery. The Guildhall was given a Grade II listing as a building of architectural and historic interest in 1976. When it was sold in 1987 very extensive repairs and renovations were carried out by the new owners out to convert it into offices while complying with the listed building specifications. (Article based on research by Janet Jordan). Holy Trinity Roman Catholic Chapel in Lichfield Road, now converted into offices. 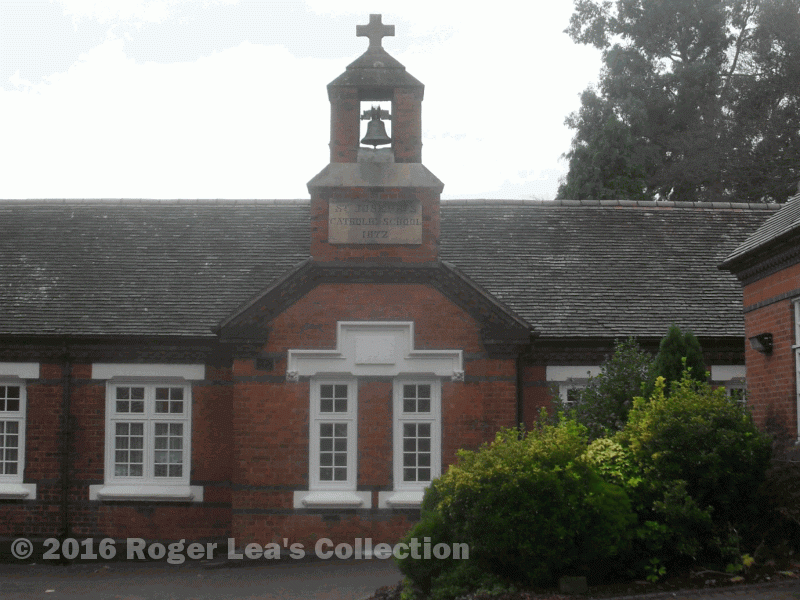 The 1872 St. Joseph’s Catholic School, now a parish hall.